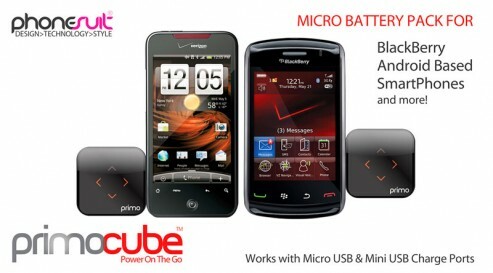 Comes in a portable, handy and tiny shape, Primocube offers a new dimension of recharging your Android smartphones by using a small cube shape battery package in a size of 1.5-inches. PrimoCube designed with a 1000mAh lithium-ion rechargeable battery and you will also find a detachable keychain loop. 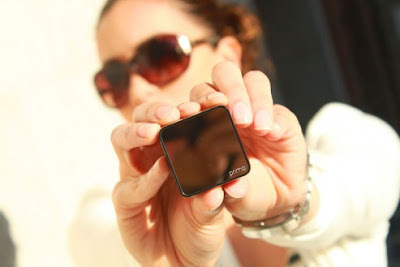 Phonesuit, the company behind PrimoCube has designed the tiny battery pack with rotatable micro USB and mini USB connectors, to further add ease of access and convenience for other small mobile devices such as mp3 player, portable media player, iPod touch, etc. Thumbmonkey is dedicated to providing a wide selection of Xbox 360, Nintendo Wii, PlayStation 3, PlayStation 2, Nintendo DS, GameBoy Advance & PC video games at great prices and unmatched service for our ever-growing community of gaming enthusiasts.